Little Elephant is having a very grouchy day. Can you help him find his bath? With interactive lift-the-flap pages and gorgeous illustrations by Jedda Robaard, join Little Elephant on his adventures as he searches for his missing bath. 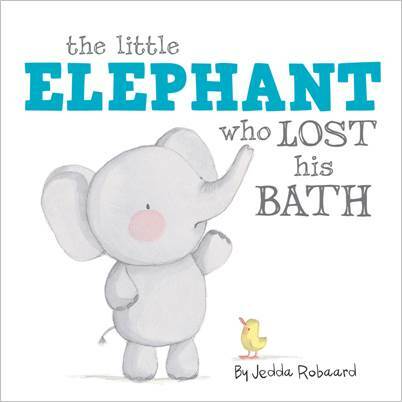 Jedda Robaard is the author of the best-selling Little Creatures book series, featuring little animals that all lose something valuable to them before discovering that what they feared to be lost was never actually lost at all. The Little Creatures books contain flaps with hidden details, giving readers the chance to interact, whilst building suspense. The text is large and makes this delightful series perfect for young children, who will want to read every single one.